The responses of Imran Khan and other Pakistani politicians to Taliban attacks and deaths are hard to reconcile with reality. A kin lies dead today, now buried under heaps of mud. The ranks of his mourners lighting a candle at his shrine has only grown since news of his “martyrdom” reached the beltway of Islamabad. The response on part of the political elite – many of whom are rank-­and-­file sympathizers – is frightening. On November 1, Hakimullah Mehsud, the leader of the Tehrik­-i-Taliban Pakistan (TTP), was killed in a drone strike, in North Waziristan. He led an organization that has since its founding placed a high premium on the indiscriminate killing of tens of thousands of innocent civilians and armed personnel. Mehsud’s name is synonymous with unimaginable tales of horror that are seared into the memory of Pakistanis. In April 2011, TTP suicide bombers blew themselves up at a Sufi shrine in Dera Ghazi Khan, killing 50 people and injuring over a hundred others. Last August, members of one of the TTP faction groups removed 22 Shiites from a bus destined for Gilgit and summarily executed them for their grave crime of religious affiliation to a particular sect of Islam. Later that year, the TTP claimed responsibility for the shooting of Malala Yusufzai, whose only crime was a thirst for a proper education. The scroll of their deeds runs the length of many pages, but their punishment in the eyes of some in the Pakistani political establishment is to be gauged on a lenient sliding scale. One would be forgiven for thinking that the death of a person who led an organization that was responsible for such carnage would be met with widespread relief. Not in Pakistan. Imran Khan, the chairman of the Pakistan­Tehrik­i­Insaf (Movement for Justice) party, which enjoys widespread approval among the youth, accused the United States of attempting to sabotage the peace process. Think about this for a second. For the past several months, through piecemeal confidence-building measures, the central government of Pakistan has pulled up chairs at a bargaining table where the Pakistani Taliban leadership is present. 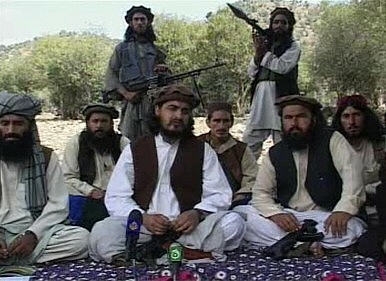 Amidst this process, the Taliban has continued its carnage of attacks, and even accepted responsibility for the ending of hundreds of innocent lives, while implicitly acknowledging that the group is engaged in the channels of diplomacy in order to reach a settlement, whereby it will renounce violence. Not too long ago, in September, while this “peace process” was underway, the Pakistani Taliban ripped to shreds the lives of 78 people in twin suicide bomb attacks at the All Saints Church in Peshawar. Imran Khan’s response then, equally as conspiratorial, was to question the “strangeness” of these attacks at a time when the government is looking to negotiate with the Taliban. It seems every time there has been an attack by the Pakistani Taliban that registers on the national psyche, Imran Khan has stepped forward with hands stretched into the air, and placed the blame on some Western elements looking to disrupt the well­being of the State. I reckon even Adam Smith would be ashamed at the extent to which his hidden hand is being appropriated. Khan is not alone in his condemnation. Interior Minister Chaudhry Nisar Ali Khan, among the most influential and outspoken voices in the country, stated that the United States was responsible for – and yes, lets hold our collective breath for this one – “the murder of peace in this area.” It numbs the mind to think that the killing of the most violent man in the nation is somehow equated with the murder of peace. Still, there are others, such as members of the Jamaat­i­Islami, who have played their predictable parts by taking this a step further in venerating Mehsud as a martyr because he died despite a desire for peace. These aren’t just some literary oxymorons Pakistan is dealing with, but the words of policymakers who are at the helm of a country besieged by a violent and deadly insurgency. Others have joined this chorus on their principled stance against the use of drones. For them, drones infringe of the sovereignty of Pakistan and ultimately do more harm than good. They contest that this quiet triumph over terror can only be a slippery slope that rids the central government of its authority. In making this case, what they overlook is that consent to the use of drones has been offered by the Pakistani government dozens of times, and that such revelations are only made public ex post facto, such as during the recent Washington Post leak. Writing during the 1965 war between Pakistan and India, the legendary poet Faiz Ahmed Faiz wrote a poem protesting the war titled “Blackout.” With his ears close to the ground, he pleaded, “You who know, give me proof/describe me to myself.” Many in Pakistan today are asking the same question of their state, wondering where the line between friend and foe is drawn. What Pakistani Prime Minister Nawaz Sharif’s Latest Prison Sentence MeansSo, What Happens to Former Pakistani Prime Minister Nawaz Sharif Now?The Biggest Challenge for Pakistan’s Next Prime MinisterPakistan's Election: Unique for All the Wrong ReasonsCould Crusading Populist Imran Khan Bring About Reform in Pakistan?